A part of me can't believe I still don't have this yet! It's Daemon and it will fit so perfectly with the others, it belongs here... But alas still haven't gotten it- hopefully this is one I can get my hands on soon! Don't forget to check out Stephanie's postto find out what book(s) is driving her mad. My choice today is a sequel. So a little while ago I finished Cinder and of course now I'm dying to get my hands on the second book and find out what happens next! 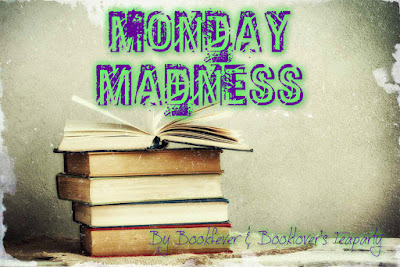 Don't forget to check out Stephanie's post to find out what book(s) is driving her mad. My choice today is pretty much one I have been wanting for forever! When the short stories began coming out I wanted them, but then found out there was gonna be a paperback I decided I'd rather have that.. and here we are, long time since and I still want the thing. Just hope soon I'll be able to get my hands on it and experience more adventures with Shadowhunters, warlocks and all the other creatures. Lately I have been obsessed with getting my hands on a coloring book! I've narrowed it down to some that I really want, deciding which turns out to be the hard part. I've been looking at them for over a week now, where I think I've decided and then change my mind. All I know is that I must have one! Been googling some images from there and looks pretty amazing. The other one is Roy Lichtenstein Coloring book. I'm really excited about the name. Felt there was no better time to do than to start off the new year with it. I chose it because, for one I love books, obviously. The other part is the fact that pretty much every time I start a book I make either a pot or cup of tea- tea is always involved in my book adventures. 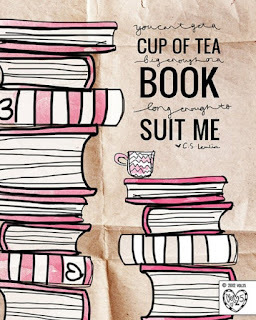 To me there's nothing better than a good book and a cup of tea. For a while I'll be making the changes around the blog, changing what needs to be changed. I'll also be starting a new Meme on mondays with Bookfever called Monday Madness which I am also very excited about and it's starting off the whole change with the first post monday.